downthetubes.net news blog: Stephen Goodall collects spooky "Diary of Joseph Stein"
Stephen Goodall collects spooky "Diary of Joseph Stein"
Stephen Goodall has just published the final pages of a haunting and decidedly spooky online comic, The Diary of Joseph Stein, a 30-page horror tale set in Scotland and the third story in a series all published as part of his Institute of Marine Research imprint. 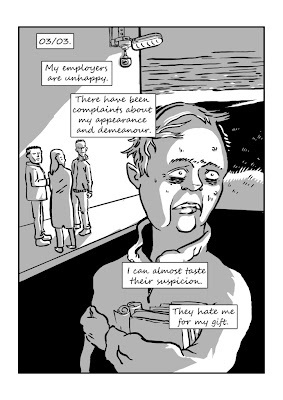 "In creating the comic I’ve drawn on some of my favourite British horror influences," he tells downthetubes. "M.R. James, Nigel Kneale, the Vertigo comics of the early 90s, and, of course, no horror story set on a small Scottish island could work without an offering to The Wicker Man, could it? 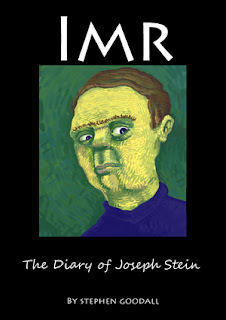 "I’ve designed The Diary of Joseph Stein as a standalone story but it also forms part of the ongoing narrative of my long-form webcomic IMR," he continues. "The idea was to provide a ‘jumping on point’ for new readers. "I intend to try and make each future chapter work in the same way too. The whole thing is available online, the link is below. I am in the process of getting some physical copies of this latest part printed too. "I originally devised The Institute of Marine Research as a way of regularly writing and drawing comics so that I could improve my understanding of the craft," he reveals. "I have been really enjoying creating the comic and have a lot of places I would like to take the story. 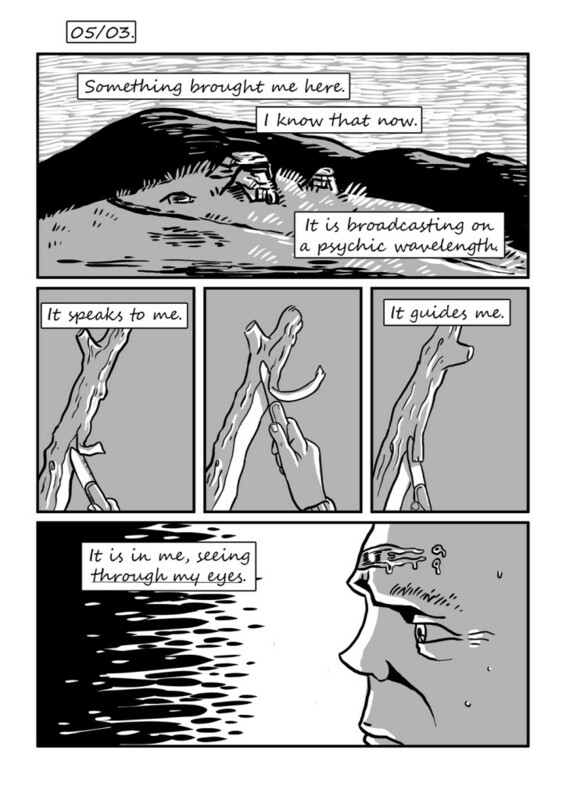 "At the moment I don’t make any money from this so am also working part-time and on other endeavours too... Hopefully as time goes on, my understanding of the medium and my art skills will improve and this will be reflected in the writing, storytelling and art." • For more about IMR, and other stuff Stephen does contact him on twitter or tumblr and the comic has a facebook page too.